The Speck Group, with its headquarters in Roth, Germany, is a family-run enterprise that manufactures high-quality pumps and compressors for industrial applications. 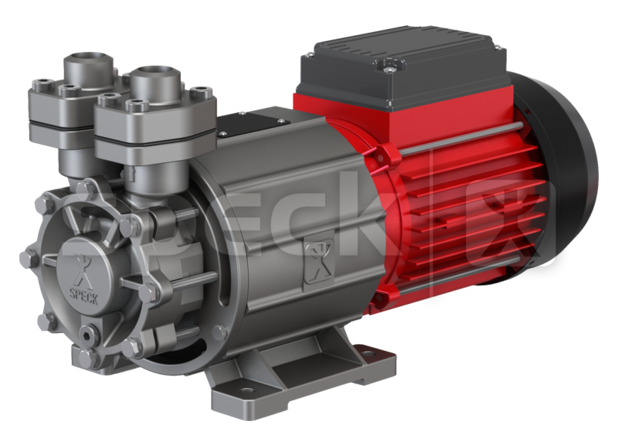 For over 100 years, Speck has been developing and manufacturing high-quality pumps and compressors for industrial applications. Speck offers applicants with previous work experience, career starters, interns, student trainees or apprentices a wide spectrum of challenging and varied activities. Speck is represented at over 50 locations worldwide. If you are looking for a subsidiary, a representative or a service partner – you can find a contact close to you. Find your route to Speck and get directions for visitors, deliveries and pick-up. Trade fair dates, event announcements and more. Event reviews, product introductions and more. Speck is a partner to market-leading manufacturers of tempering devices. We support your company in precisely controlling thermal processes with the help of safe and reliable solutions. Speck is a partner to market-leading manufacturers of cooling appliances, cooling systems and devices with integrated cooling. We support your company in precisely controlling cooling processes with the help of reliable and economical solutions. Speck is a partner to market-leading manufacturers and operators of heat transfer and cooling technology. In close cooperation, we support your company in safely controlling thermal processes with the help of safe, reliable and economical solutions. Speck supplies manufacturers around the world in the field of medical engineering. In close cooperation, we support your company in realising safe and reliable medical technology solutions. Speck supplies plastics processing companies and systems manufacturers worldwide. In close cooperation, we support your company in realising solutions with high energy efficiency and reliability. Speck supplies food and beverage manufacturers worldwide – in addition to their systems manufacturers – with customer-specific solutions. In close cooperation, we support your company in realising safe and hygienic solutions. Speck is a partner to market-leading companies in the vehicle industry. In close cooperation, we support your company in realising reliable and durable solutions for difficult and changing ambient conditions. Speck is a partner to market-leading companies in the energy industry. In close cooperation, we support your company in realising economical, efficient and sustainable solutions. Speck supplies systems manufacturers and operators worldwide in the chemical and pharmaceutical industry. In close cooperation, we support your company in realising safe and hygienic solutions for critical processes. Speck is a partner to market-leading manufacturers with demanding and pioneering applications for many different branches of industry. We support your company in the development of a customer-specific solution for your application. 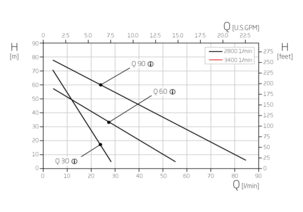 Ideal for high flow rates at lower pressures and delivery pressures – multi-stage pumps also with higher delivery pressures. Normal-priming. You can find our current vacancies here. We also welcome prospective applications. Set off on your career path at our company and start a successful future with Speck!